Joëlle Léandre, double bass; Benoit Delbecq, piano; François Houle, clarinets. 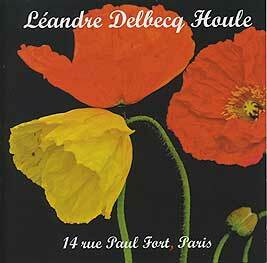 Recorded at 14 rue Paul Fort, Paris on 24 November 2013. Front cover (reproduced above) by Jean-Marc Foussat; flowers by Pierre Foussat.